**This supply list reflects items needed for all students in their core classes. Individual teachers/courses may request additional supplies at Back to School Night. **Families can receive assistance on school supplies through the Jeffco Action Center. View this school supply distribution flyer for more information. 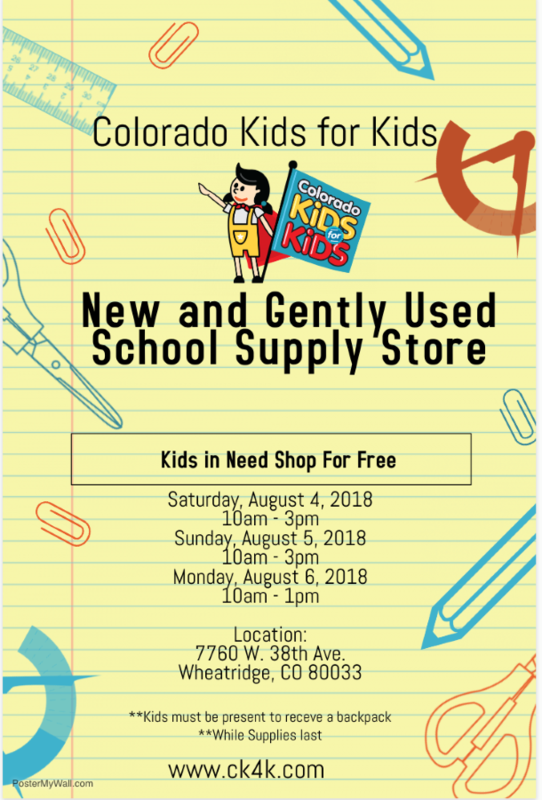 Colorado Kids for Kids is also distributing school supplies for families who need assistance. View this school supply distribution flyer for more details.